A man has been found guilty of outraging public dencency after he emerged naked from a toilet at the Gala Bingo Hall in Worthing. Picture: Google street view. A man who stripped naked at a bingo hall has been sentenced in court. 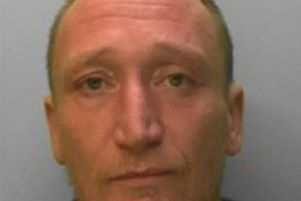 Christopher Way, 36, of Thorn Road, Worthing, was found guilty of an act of outraging public decency. It relates to an incident that happened at the Gala Bingo Hall in Rowlands Road, Worthing, on February 23, when Way came out of a toilet naked. He was sentenced at Crawley Magistrates’ Court on Friday, where he was fined £40. He must also pay a victim surcharge of £30 and court costs of £85.